Preheat oven to 350 degrees. 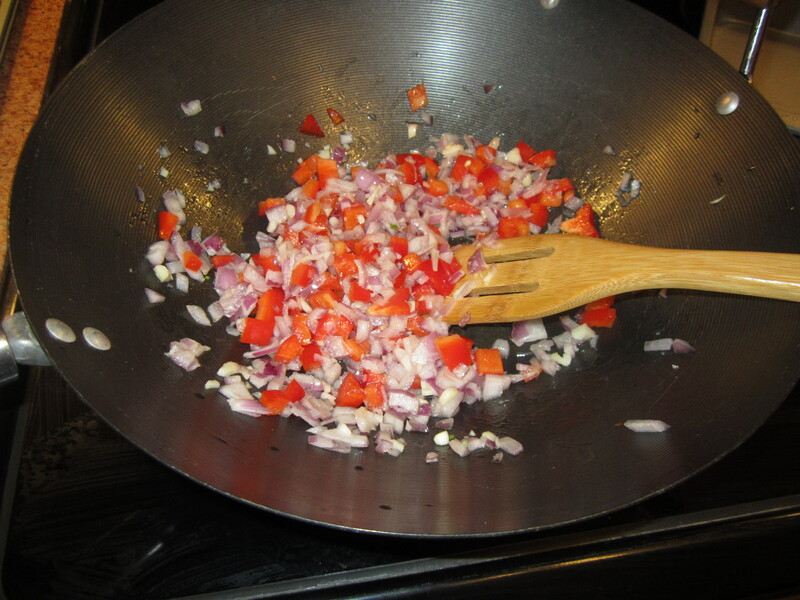 Heat 3 tablespoons of the oil in a medium skillet over medium heat; add the garlic and onion until they soften. Add the pepper and cook for 5 minutes or so. Beat the eggs till bubbly then add to the skillet as well as the corn, feta, basil, parsley, cayenne pepper salt and pepper. Cook over medium heat for 5-6 minutes until the edges start to set. Transfer the skillet and bake the frittata is slightly puffed and egg mixture has set, 25-30 minutes. 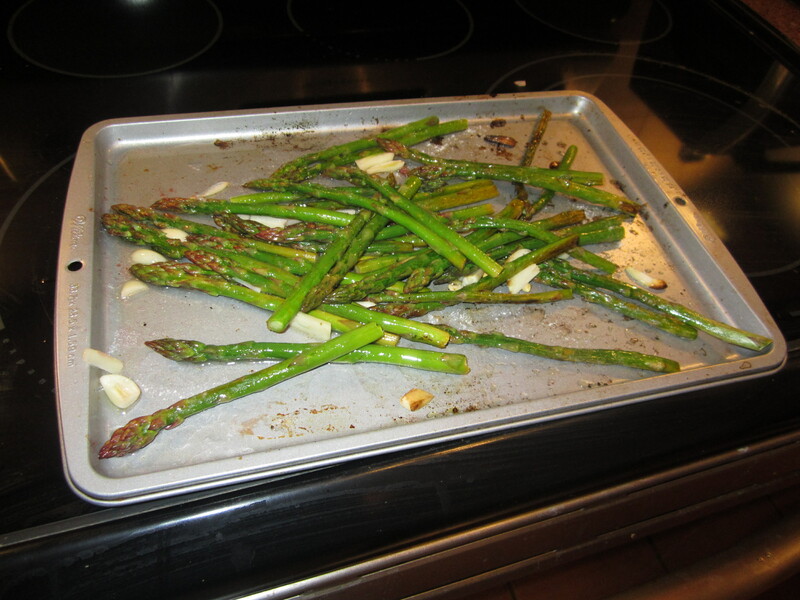 For the asparagus drizzle with 2 tablespoons olive oil and one fresh lemon and 3 cloves sliced into thicker pieces, add to the 350 degrees oven for about 10 minutes, sprinkle a little bit of parmesan cheese on if so inclined. Take the frittata out once it has set and let cool for 5 minutes. 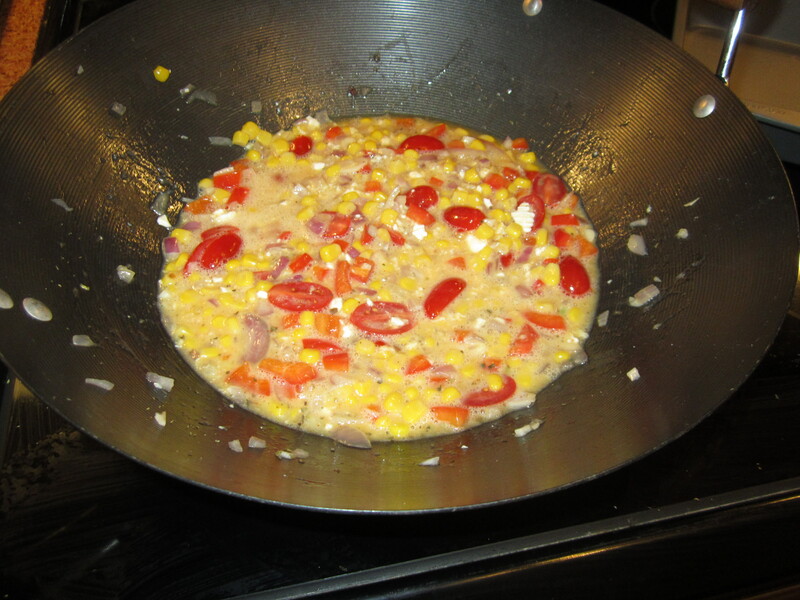 Using a rubber spatula loosen the edge of the frittata and slide onto a platter and serve in wedges.